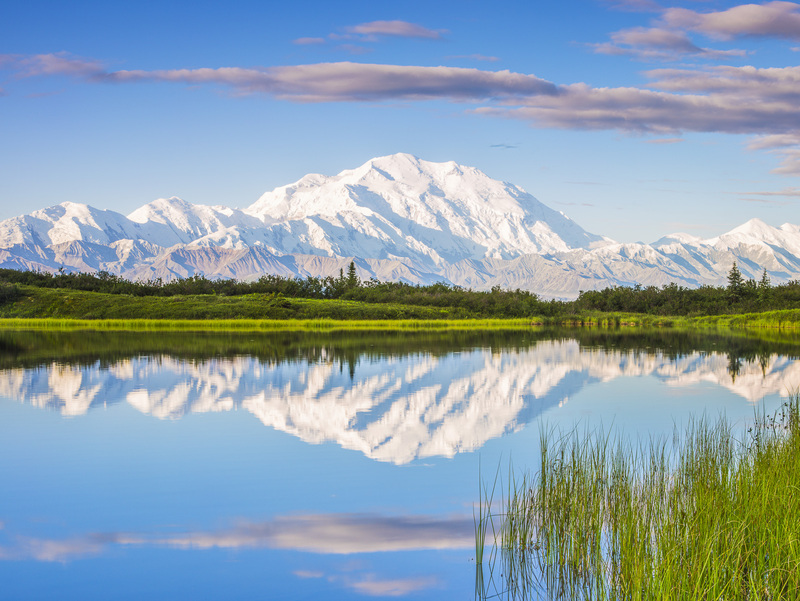 Reflection pond offers Mt Denali in a grandeur display of greens and blues of during a perfect spring morning. Breathing the fresh air deeply. Photo © copyright by Lance B. Carter.